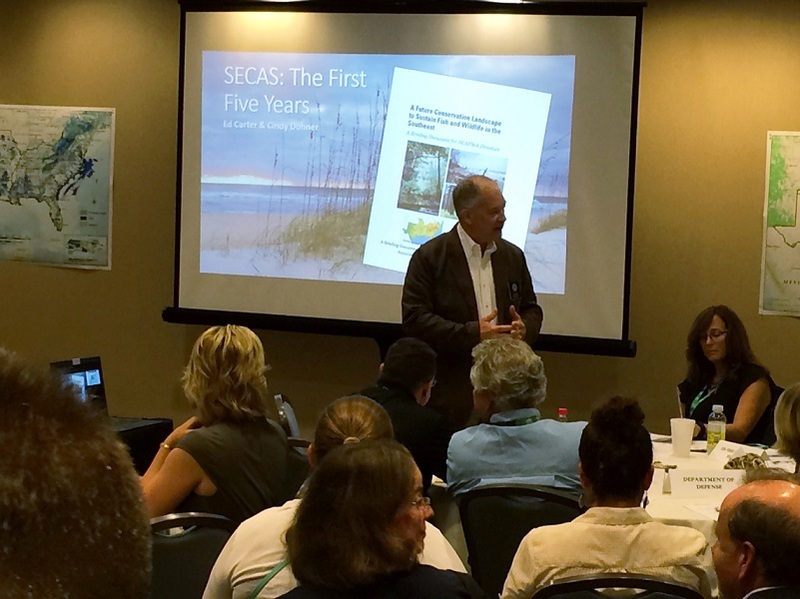 The Southeast Conservation Adaptation Strategy (SECAS) Conservation Leadership Summit was held in conjunction with the 2016 Southeast Association of Fish and Wildlife Agencies (SEAFWA) Conference in Baton Rouge on October 17th. The summit was well attended by state fish and wildlife agency representatives, federal agencies providing leadership through the Southeast Natural Resource Leaders Group (SENRLG), and other interested partners across the southeast. The purpose of the summit was threefold: (1) to roll out the SECAS Blueprint Version 1.0 and solidify support for its continued improvement, (2) to solicit an affirmation of continued support and engagement from the SEAFWA and SENRLG leadership, and (3) to demonstrate the breadth of engagement and accomplishment of the SECAS initiative to date. In achieving its purpose, the summit used a facilitated conversation with SEAFWA and SENRLG leaders regarding why SECAS is needed. This segment featured background information on the landscape-scale challenges facing conservation in the Southeast, both now and extending to the year 2060. These challenges include urbanization, increasing demands on water resources, extreme weather events, sea level rise and climate change. The SECAS Blueprint Version 1.0 was officially unveiled and specific use cases were presented to demonstrate the Blueprint’s conservation utility. A second segment focused on how to define the conservation landscape of the future, the mechanics of stitching together a blueprint to guide conservation efforts across the diverse landscape of the 15-state southeast region, and the need to demonstrate applicability at multiple scales. 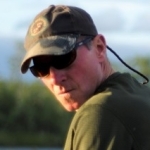 Throughout both segments, participants offered positive feedback including recognition that more work is needed to make the SECAS initiative and its blueprint more relevant to a broader coalition of partners, particularly private landowners. Following the summit, the SEAFWA Directors approved two specific actions at their board meeting on Tuesday, October 18. The directors approved a motion to solidify their proven leadership to SECAS and ensure SECAS Blueprint Version 2.0 continues to reflect state priorities as a result of their active engagement and participation. They also approved a motion to direct the SECAS Lead Coordination Team to evaluate the effectiveness of current SECAS activities and associated funding mechanisms and bring forward recommended options for improvement at the Spring 2017 SEAFWA Directors meeting. Immediate next steps from the summit include continuing improvements to the Blueprint with a commitment to an annual update cycle to occur every fall during the SEAFWA Conference, continued engagement in SECAS through the six LCCs within the southeast region and the Southeast Climate Science Center, and further discussion on formalizing SECAS engagement through the SENRLG leaders at their winter 2017 meeting. The SECAS Conservation Blueprint Version 1.0 will be available for public use on the Conservation Planning Atlas by mid-November at https://seregion.databasin.org/. Additional information about the Southeast Conservation Adaptation Strategy (SECAS) may be found at www.secassoutheast.org.